Your best choice for Eastpointe Chiropractic! 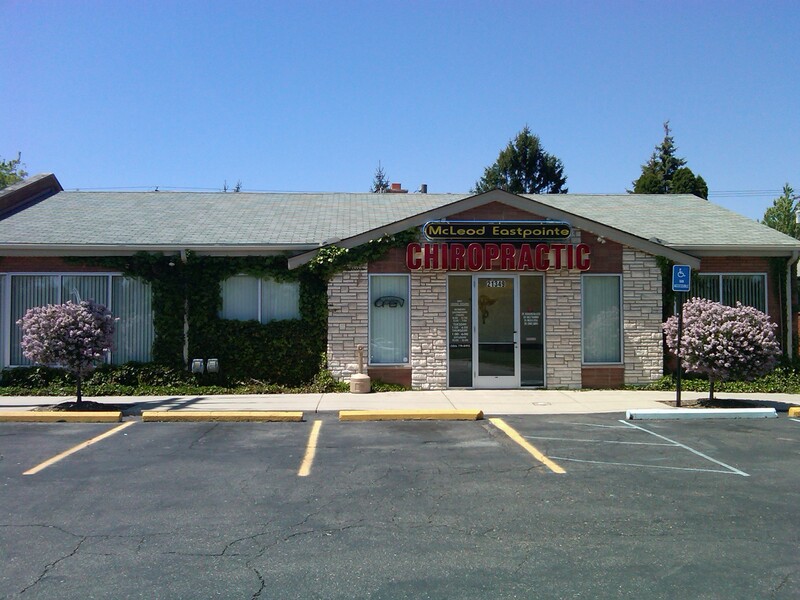 McLeod Eastpointe Chiropractic was estabilished in 1992 by Dr. Douglas McLeod. Before opening his Eastpointe office, Dr. McLeod was privileged to work side-by-side his father who also practiced a mile away in Eastpointe. In 2009, Dr. McLeod changed the practice name to Hope Chiropractic however, the legendary McLeod name remains. McLeod/Hope Chiropractic is conveniently located on the west side of Kelly Road betwen 8 and 9 mile. The Eastpointe chiropractic office features an open adjusting bay, a consultation room, an examination room, digital x-ray machine, and a massage room. If you are looking for a professional chiropractic clinic located in Eastpointe, MI 48021, then McLeod/Hope Chiropractic is for you! In practice as well as online, the McLeod/Hope chiropractors and staff strive for excellence through superior patient treatment, education and satisfaction. Your best choice for Eastpointe Chiropractic services. Our Eastpointe office proudly serves the Eastpointe, Grosse Pointe, St. Clair Shores, Warren, and Roseville communities.